A large en-suite room with a king-sized bed and a sofa/or a small coffee table with two armchairs, a private fridge,a bathroom with a power shower and a bath, complimentary Tea/Coffee making facilities, Free Wi-Fi, a room safe providesexcellent value for your stay. A large en suite room with a king sized bed and a sofa, tea-coffee making facilities, a fridge for your convenience, power shower and a bath, complimentary fast broadbandand and a fan. The room provides an excellent value for your stay! Free Wi-Fi , Tea/Coffee making facilities and a room safe provides excellent value for your stay. Free Wi-Fi, Tea/Coffee Hospitality tray, a room safe provides excellent value for your stay. Children under 12 of age stayFree with their parents! Sorry, we do not provide bath towers for children free of charge! This generously sized En-Suite Room with a King-sized bed and 1 single bed and a pull out sofa bed suitable for a child under 5 of age, a bathroom with a power shower and a bath,a private fridge,Free Wi-Fi, Tea/Coffee Hospitality Tray and a room safe provide excellent value to your stay. Sorry we do not provide bath towels for children free of charge! This generously sized En-suite Room with its King-sized bed and a Single bed, a bathroom with a power shower and a bath, a private fridge, Free Wi-Fi, Tea/Coffee making facilities and a room safeprovide excellent value for your stay. This room is suitable for 3 adults, 2 of them sharing a king sized bed.A cot is available on request free of charge. 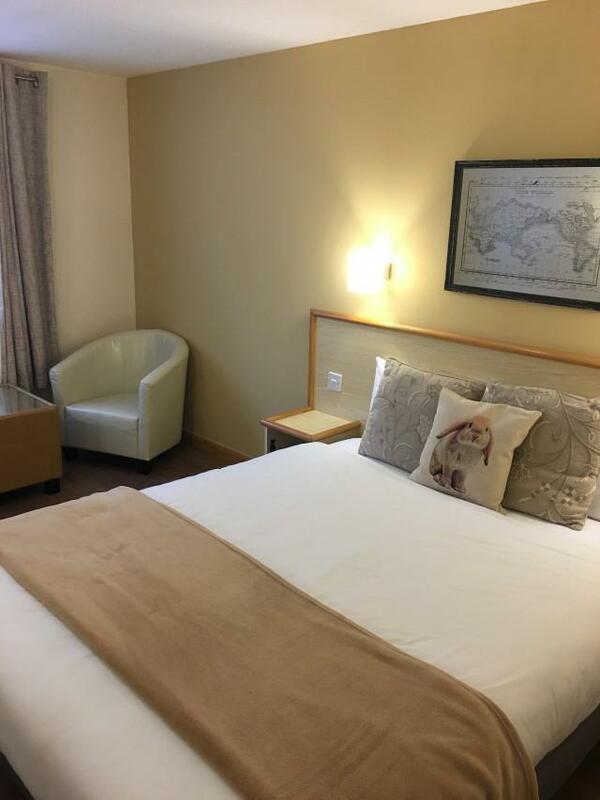 Enjoy your stay in a spacious room with 3 single beds,a telephone,a private fridge,Freeview television channels, Free unlimited Wi-Fi, a room safe and a Tea-Coffee Hospitality tray. 24 hours room service. This Room is suitable for 3 adults. Please have nice time in one of our Deluxe rooms and enjoy the comfort of this generously sized newly designed room for two with a king sized bed and power shower and a bath. You can spend unlimited time having advantage of our Free Wi-Fi enjoying a cup of tea! There is a small fridge and a room safe for your safe and convenient stay. Please have nice time in our Disabled room and enjoy the comfort of this generously sized room for two with a king sized bed and a chair bed. This very spacious bathroom offers a power shower and a bath. You can spend unlimited time having advantage of our Free Wi-Fi enjoying a cup of tea! There is a private fridge and a room safe for your convenience.